Lisa Paitz Spindler » We have a winner! Congratulations Ora Amis! You are the winner of the Out Of This World Blog Tour Contest. 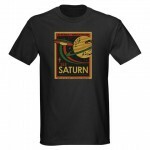 You have won a free copy of my novel THE SPIRAL PATH and this nifty Retro Saturn t-shirt.